What does it say when Final Fantasy VII is released on the PSN Store as a downloadable game for the PSP & PS3 for $9.99 and everyone rejoices, yet when the original Final Fantasy comes along for the iPhone for $8.99 and there is a general sense of being over-charged? Perhaps it is the reality that all business models aren’t created equal. I will talk about the business model in a bit, but for now … let’s explore the iPhone release of the original Final Fantasy! The Original Returns! 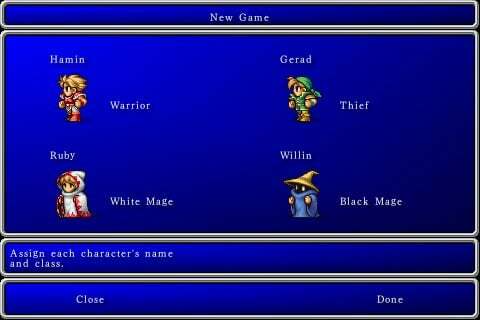 In Final Fantasy, the tale begins when four young warriors, each possessing a Crystal, are summoned to bring the world back to a harmonious elemental balance. During their voyage, they discover a nefarious entity has created turmoil in the structure of time in order to take control of the world, causing the heroes to travel to places they never imagined possible. 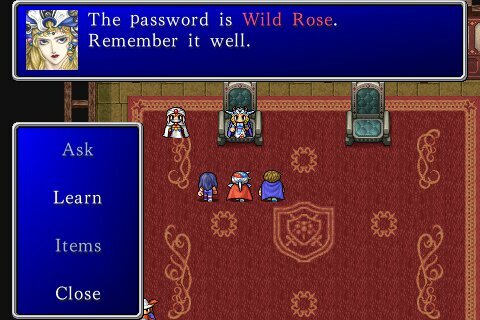 Remastered for the iPhone / iPod Touch system, this new edition features all-new character art, updated graphics, new dungeons, full 16:9 widescreen presentation and an updated camera view that gives players a new vantage point on such a timeless classic RPG. 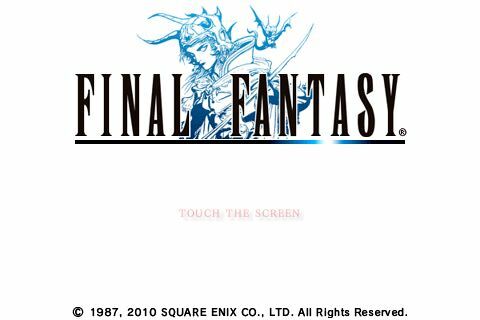 This is now the third time I have bought Final Fantasy – once as part of the ‘Final Fantasy I & I: Dawn of Souls’ GBA game, once in the Final Fantasy 20th Anniversary PSP release, and now for the iPhone / iPod Touch. Each is essentially a revamped version of the original 1987 NES game release with something added to justify a potential new purchase. To quickly summarize my experiences: the GBA version included both Final Fantasy I & II at a single game price, added loads of content and fixed plenty of remaining issues; the PSP release added a single mediocre dungeon and revamped the visuals, but un-bundled the two games and released the first game for a full game price in what felt like a blatant money grab; the new release on the iTunes App Store feels somewhere in between. The new release feels very much like the PSP version ported to the iPhone with a proper mobile save system and touch screen controls. That isn’t a bad thing – the PSP version, as mentioned, was the most complete, and best looking version of Final Fantasy ever made. 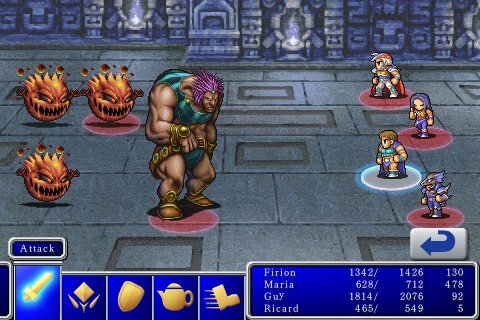 Final Fantasy is a story-and-combat driven role-playing adventure game with a turn-based combat system. It derived heavily from the so-called ‘western’ RPG franchises such as Wizardry and Ultima, translated through a Japanese anime sensibility and presented in a very light and pleasant style. The iPhone version (again, identical to the PSP release) takes the original 8-bit version to the extreme in terms of reworking the graphics without completely redesigning the game. Going back to look at the GBA game or even videos of the NES shows the amazing visual progression made through the years. 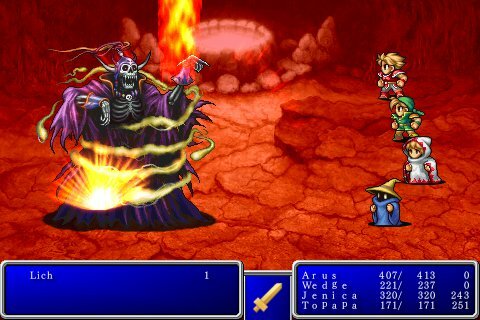 The original Final Fantasy is fairly thin on story and characters compared to modern games – particularly compared to the later entries in the franchise! Four adventurers must work together using crystals to save the world. You get dialogue, flavor and quest instructions from a variety of characters you meet, but your own party has absolutely no personality or dialogue. That assessment sounds pretty negative in terms of characters and story, but it isn’t – there are plenty of interesting characters to meet, and the story does a solid job of keeping things moving as you wander around the world. And wander you will – in the style of the era, you get only marginal directions about what to do at any given time, and generally need to thoroughly explore everywhere to figure out where to go. Part of the reason for this is it provides opportunity to find other areas, but also lands you in tons of random battle encounters, which will keep you on a level-up progression that will allow you to succeed against later dungeons. Leveling up is critical to the game. You create a party of four characters from six classes including warriors, mages and rogues; but from there the influence you have on their progression is minimal. If you have a warrior or rogue, mostly what you do is keep buying them better weapons and armor. There are three mage classes – Red, White and Black. Black mages have offensive magic, White mages use defensive magic, and Red mages can use both, but at a lower level. Also, each mage can only know three spells at any time, and you need to buy all of your spells just like weapons. The combat uses a turn-based system which is menu driven at its core – you choose your characters’ actions for a turn, and then all characters take turns based on speed executing actions. You can attack, use a spell, use and item, defend, or flee from combat. 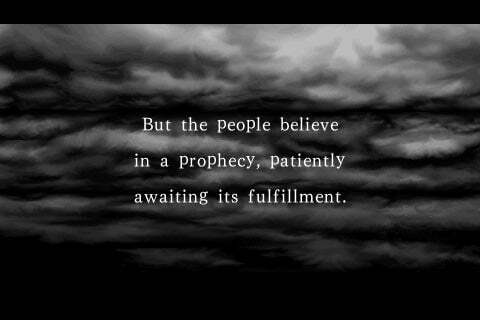 The ability to flee isn’t guaranteed, but when the odds are severely against you sometimes it is your best option. At the end of a battle, your characters gain experience if they have not been knocked out. This can make things difficult, since falling behind in levels makes a character more vulnerable to enemy attacks. Fortunately it is possible to balance things out over time with random battles and use of items. Summing up the general Final Fantasy info, the game takes a couple of dozen hours to play, perhaps as long as 40 hours to really spend time exploring things. I love to level up as much as possible, so I tend to be on the high end of the time scale for these games. Oh, one other thing that was improved for the PSP release was the soundtrack. While not the full-on orchestrated or techno-infused soundtrack of later games, the original games featured solid melodies and themes, and the new versions fit wonderfully with the great new graphics. Fortunately the soundtrack also comes to the iPhone release. 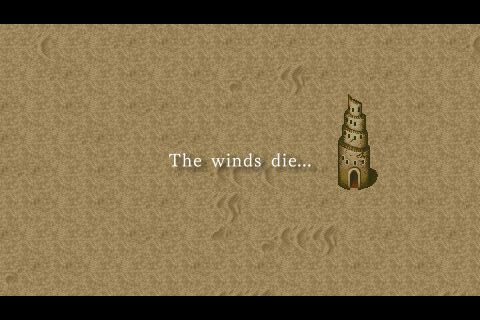 For the iPhone version, Square basically took the PSP release, ported it to the iPhone and added a touch control overlay. So the concerns I had were performance, controls, and the save system. 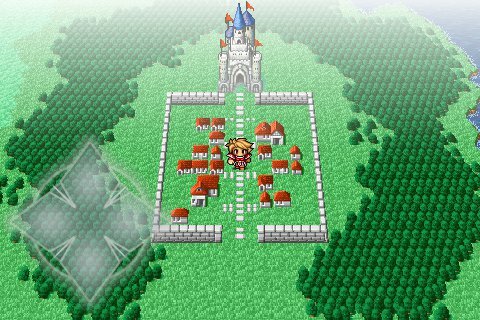 The PSP game used the typical ‘save only on overworld map’ system that the GBA port also featured, so I was concerned about the iPhone release. Fortunately they implemented a system that allows you to save anywhere outside of battle, and also auto-saves when you exit the game. If you have ever played this game before on any platform you know how frustrating it can be to find yourself at the end of a dungeon and then dying on the way back, only to lose all progress – or running out of battery, or whatever other things can happen without a modern save system. I have mixed feelings about the controls. On the one hand they are well done and there really isn’t the same need for precision as there is in a shooter game; but in a game where random combat seems to hit every few steps, I found it too easy to make a wrong move and wind up retracing steps and ending up in yet another encounter. But let me be clear – this is a very minor niggle in an otherwise excellent control scheme. I started the review with an interesting comparison of the business models for the PSN store and the iTunes App store – and it really doesn’t make sense if you think about it. The $10 mark seems an upper limit for re-releases or digital ports of older games, as it recognizes that there should be bargain prices for the ports, but also the effort required in producing the ports. I have complained in the past about the pricing of the PSP ports because the previously paired-up Final Fantasy I & II were separated and each got a full price ticket. But for the iPhone release the prices are much more reasonable – certainly I would have loved to see both games combined for $9.99, but to put it into context: you can get both Final Fantasy I & II on the App Store for less than you can buy EITHER Final Fantasy I OR II on Amazon.com … and they have been out for more than 2.5 years! 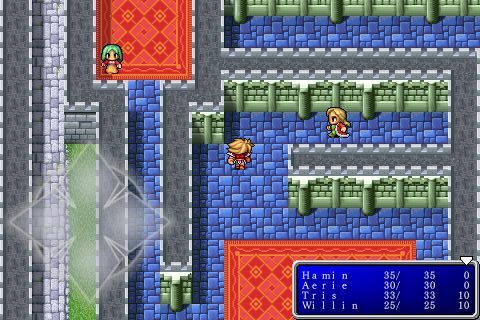 Final Fantasy is a landmark game that has remained playable through the years due to the wide-ranging ports across many platforms. The iTunes App Store release is the pinnacle of all of the ports released through the years, featuring all of the added content, reworked graphics and soundtrack, and a new save system. If you have never played this classic – or if it has been years since your last time – definitely check this out in the App Store. But if your experience is from a portable release from the last few years, there is little reason to pay for the same experience yet again. – Some will balk at these games on the high end of App Store pricing. Source: game was a personal purchase.